Designed for basic skill level 6 and above. 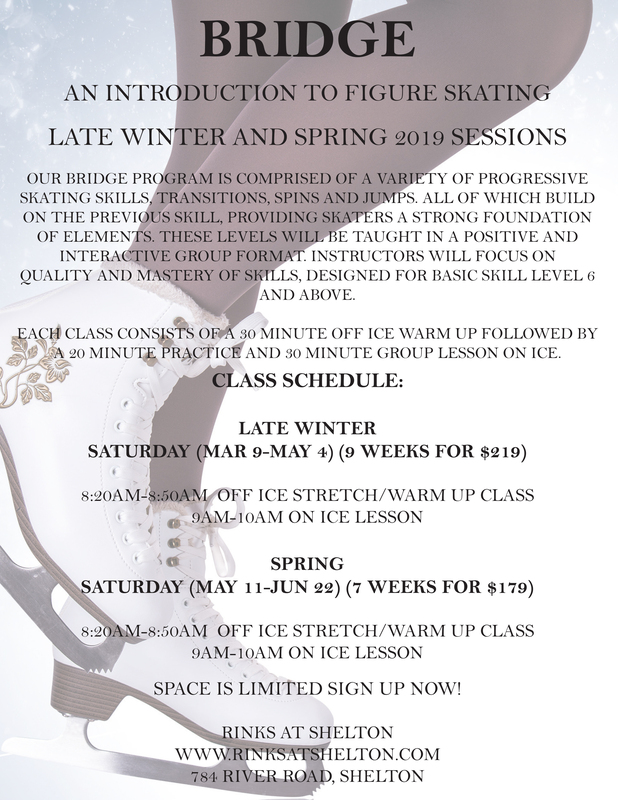 Learn the fundamentals of figure skating, including the moves in the field, jumps, spins, synchro and ice dance in a formalized environment. Each class consists of a 30 minute group lesson accompanied by a 20 minute practice.